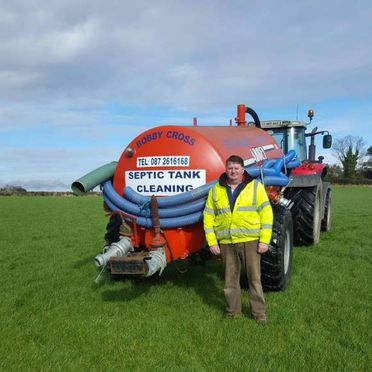 We are both fully licensed and fully insured to empty both septic tanks and waste water systems. We also offer an efficient and affordable service and are available 24 hours a day 7 days a week. We work with all types of clients, domestic, commercial & agricultural. 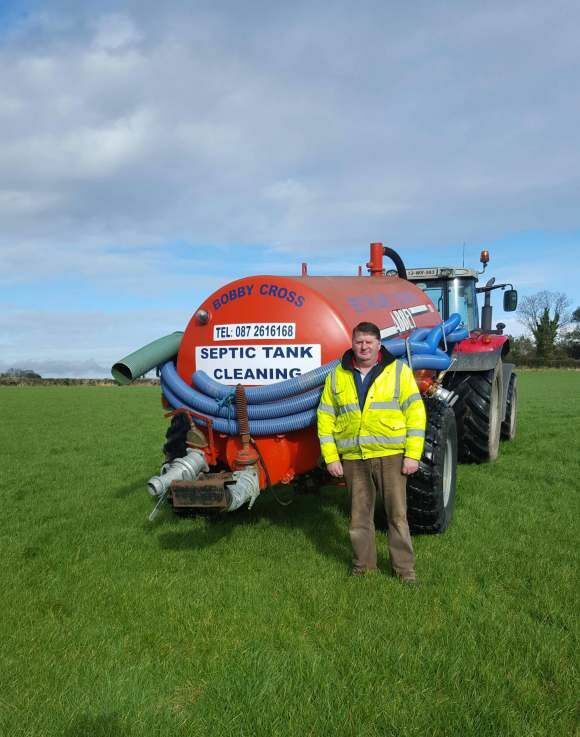 To arrange to have your septic tank cleaned, simply get in touch with the team today on 0872616168. 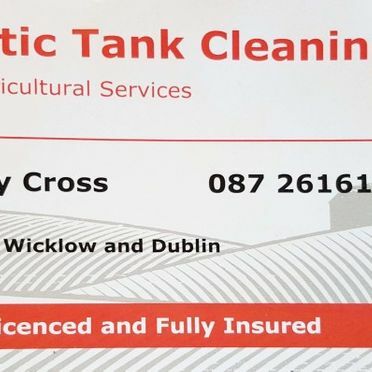 We are fully registered and insured, holding a waste collection permit for Wicklow and South Dublin. 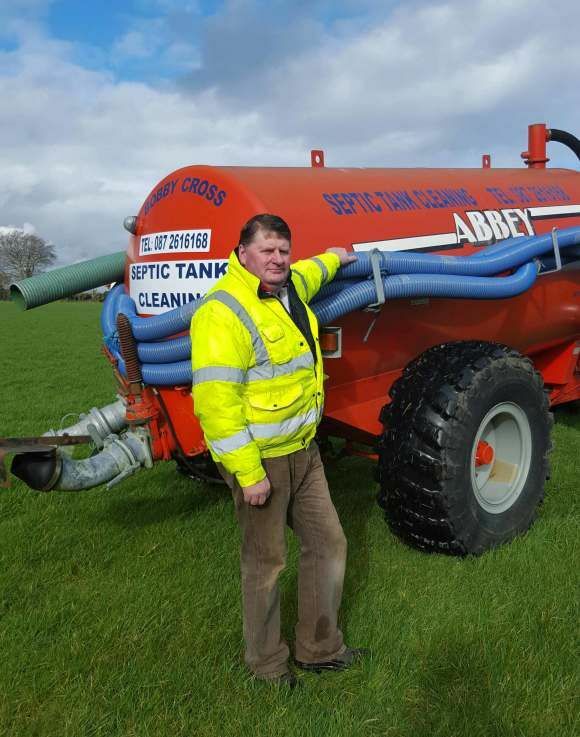 We have an in depth knowledge of septic tank cleaning systems and are more than happy to offer practical after care advice. 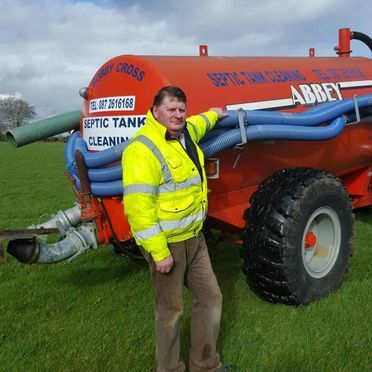 Septic Tanks should be emptied on a regular basis. This all depends on the amount of waste going into your tank and the size of it. But regular cleaning will greatly reduce any chance of blocked drains and the chance of your tank overflowing. 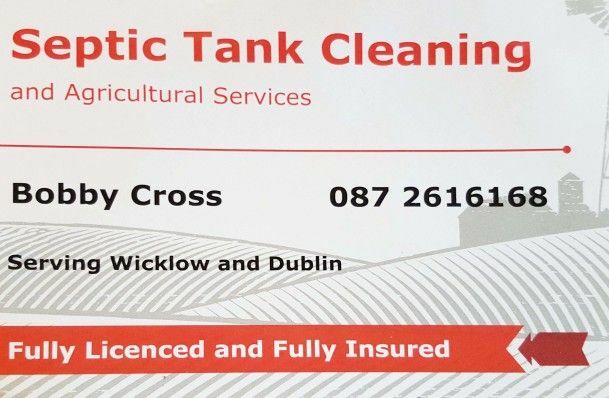 At Bobby Cross Septic Tank Cleaning we can offer you competitive, efficient and professional service.